It’s exciting to see our infants now walking, or as we say waddling. Some of our play at this level is structured with rules, called guided play. 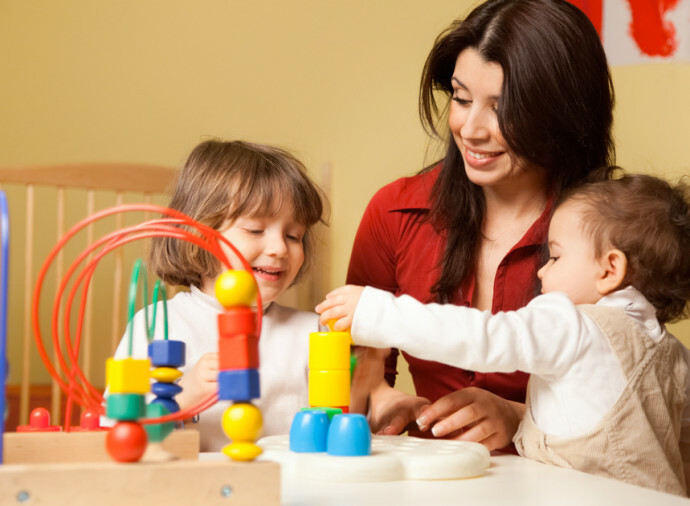 Your child will learn how to share play materials among themselves. Learning how to verbalize simple daily routines such as washing play dishes. Fill a container with shapes, stack blocks, matching skills and more. Fine and gross motor skills by pushing/pulling and opening/closing. 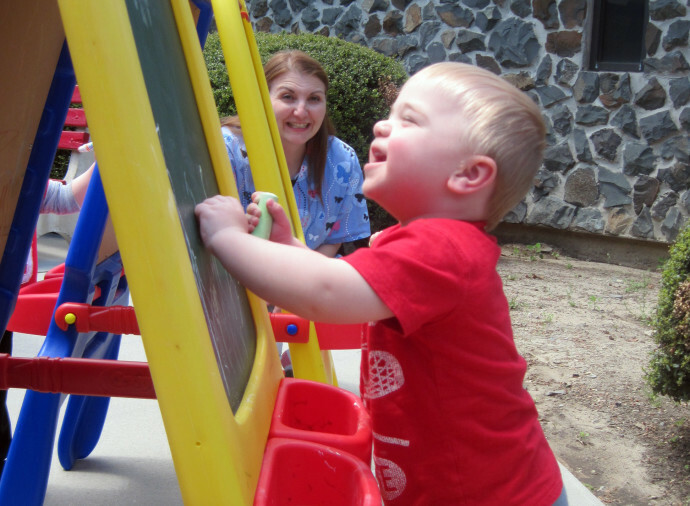 Waddlers will be encouraged to play and explore. Some of our play at this level is structured with rules, especially to learn a new skill. We call this form of play, guided play. Opportunities for children to spontaneously explore their world socially and emotionally is implemented through “play.” Puppets are used to express feelings, develop curiosity, enhance self-esteem and teach values. 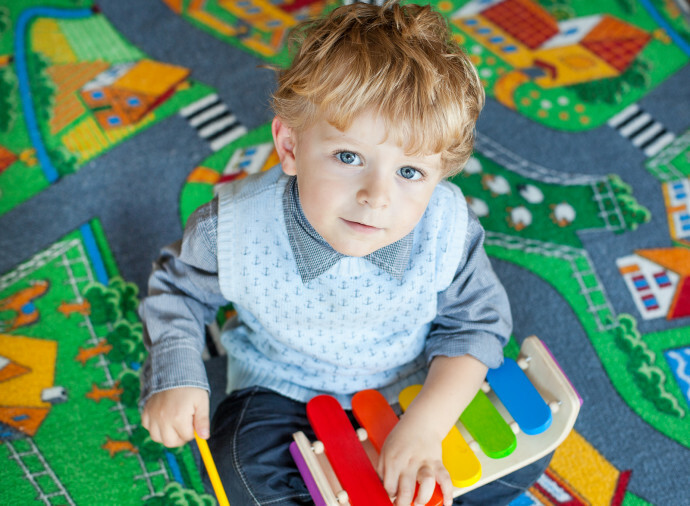 Your child will learn how to share play materials among themselves. 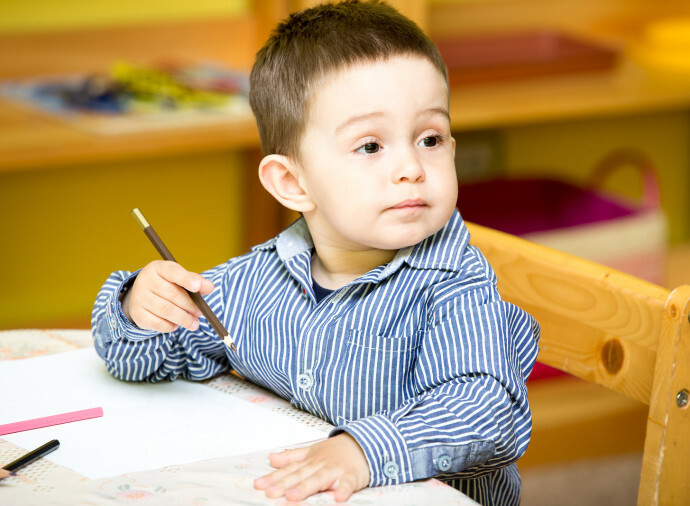 A variety of fun centers are set up around the classroom to inspire the verbal correspondence between one child and another or between child and teacher. Your child will learn how to verbalize simple daily routines such as, dressing a doll, washing play dishes, or place felt pieces on a flannel board to tell a simple story. Your child will use simple manipulative, such as three piece puzzles for body parts, or shapes. Your child will discover how to fill a container with sorted shape openings, stack and unstack blocks and develop the skills to match up a pair of like objects from a group of several different objects. Your child will begin to demonstrate fine and gross motor skills by pushing/pulling toys, opening/closing boxes, drinking from a cup, rolling a ball, stacking blocks and begin painting simple art projects.